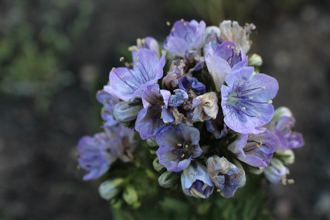 The deep purple color of Parry's Phacelia makes this plant easy to spot in springtime. 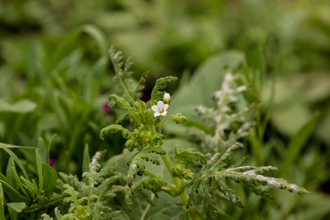 It blooms from March to May and is often found in bare or disturbed ground, usually on slopes. 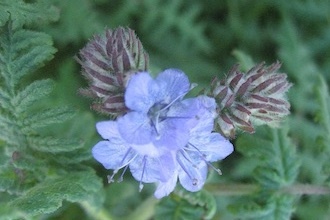 If an area has burned recently, Parry's Phacelia is frequently found there. 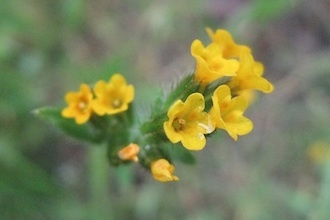 It is common in the western Santa Monica Mountains but somewhat rare to the east. 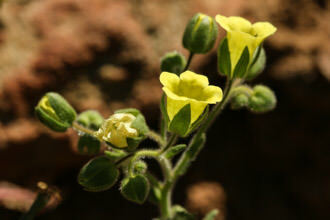 The velvety-looking flowers are 1/2 to 1 inch in diameter, with 5 petals in a pinwheel arrangement. 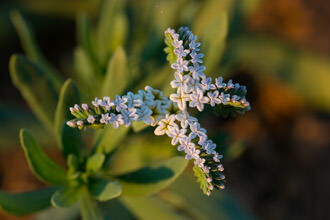 5 white stamens protrude from the flower's light-to-white center. 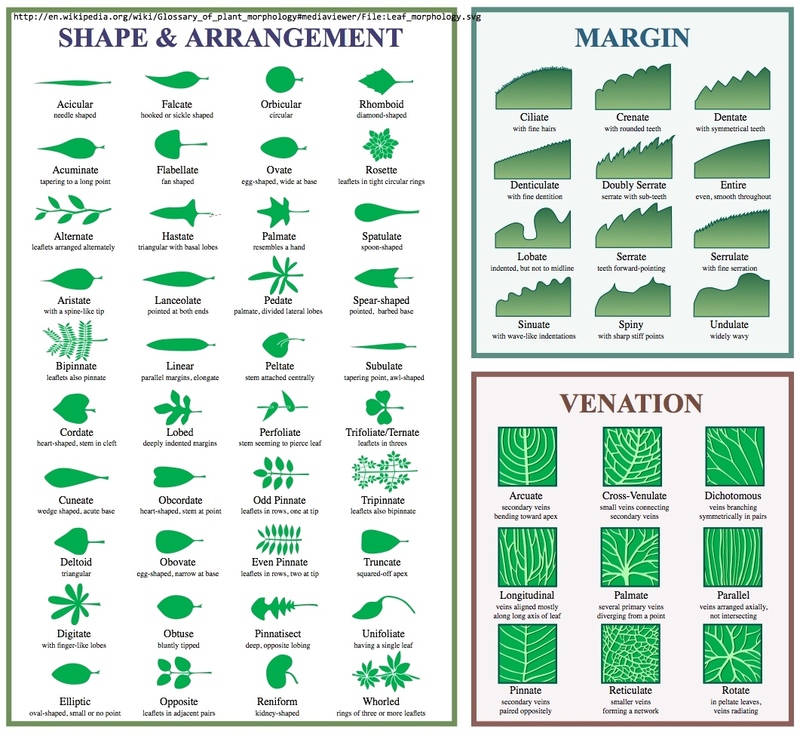 Leaves are up to 2 inches long, gray-green in color, deeply veined, somewhat oval with jagged edges. 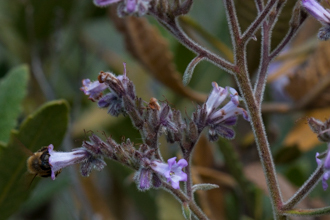 The stems and branches are sticky and covered with hairs. Usually there is a solitary stem and the plant stands alone; other times there are small groupings of several plants growing together. 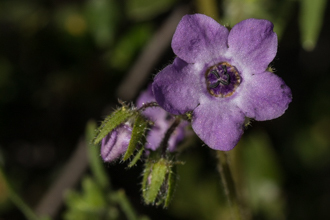 You may sometimes also find this plant classified in the Boraginaceae (Borage) family. 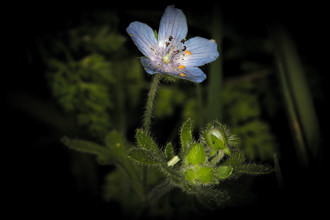 The genus name Phacelia means "clustered", referring to the arrangement of flowers. 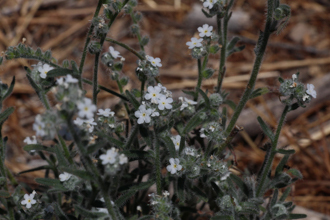 The botanist Dr. Charles Christopher Parry, who discovered many native plants throughout the southwestern US, is represented in the species name of this plant. Last modified: May 12 2017 16:41:08.